Like a true mosaic, the varietals in this wine each contribute their individual personality to create a harmonious blend. Merlot and Zinfandel bring round fruit notes while Petit Syrah and Cabernet Sauvignon provide structure and complexity. 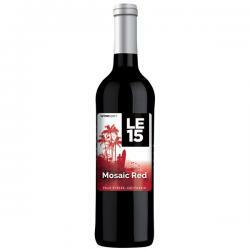 Mosaic Red has aromas of red fruit with an undertone of smoke and spice. Flavours of juicy blackberry, raspberry, spice and smooth tannins give way to a lingering finish. 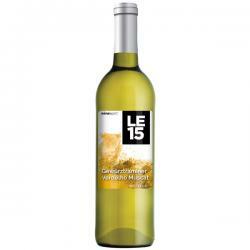 The trio of grapes that make up this wine are as distinctive as the blend itself. The wonderfully floral Gewurztraminer headlines as Verdelho's tropical fruit characteristics play off of Muscat's infamous grapey flavour. The resulting wine has a perfumed nose with vibrant flavours of pear, grapefruit, lime and mineral and an off-dry finish which makes this wine refreshingly fun to drink. This unofficial 'super venetian' white is a blend of the vibrancy of Pinot Grigio with fresh citrus and pear complemented by the honeyed and ripe pineapple notes of Verduzzo. The zesty freshness and acidity is balanced by rounded tropical fruit flavours and a bit of nuttiness leading to a crisp, clean finish. 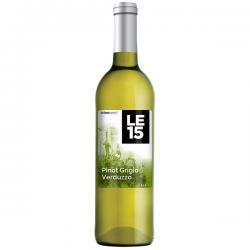 This is a Pinot Grigio with a bit of pop.